This razor cut hairstyle is anything but symmetrical. 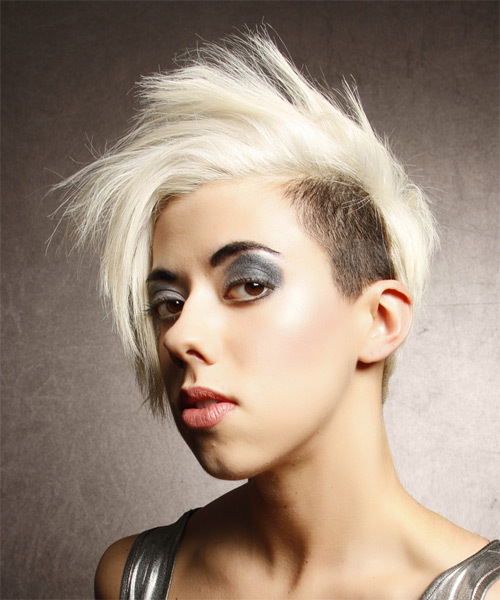 One side is clipper cut and colored dark brunette, while the opposite side, top and back are sliced and chopped to achieve maximum texture that can be styled out with product for hold and shine. This is a great hairstyle for those wanting a style that will turn heads at any occasion and needs regular trims to maintain shape.